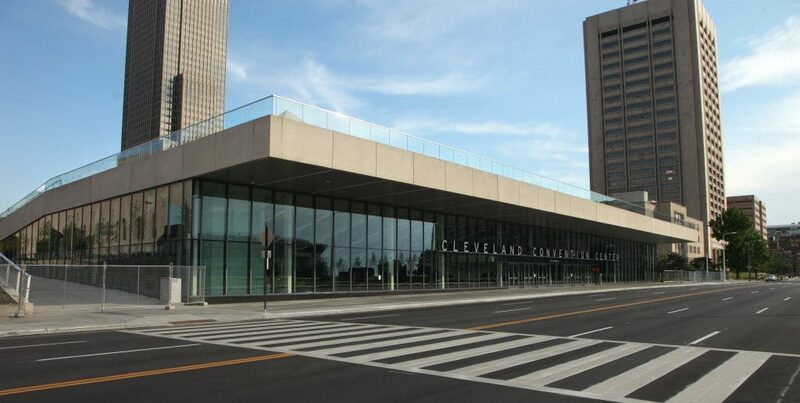 The newly-built Huntington Convention Center of Cleveland is one of many comeback stories coming out of Cleveland, Ohio, which is in the middle of one of the most transformational periods in its rich history. Since its opening, multitudes have converged here from around the world for dozens of special events, conventions, conferences, fairs and expos. Located in Downtown Cleveland’s epi-center, The Convention Center of Cleveland is steps away from numerous main attractions such as First Energy Stadium, Jack Casino and Bar 32, which is located on the 32nd floor of the Hilton Downtown Cleveland that is directly connected to the Convention Center. With 225,000 square feet of exhibit space, The Huntington Convention Center of Cleveland can accommodate a vast amount of events such as Wizard World Comic Con, Cleveland Beer Fest, National Touring Dance Convention and Competition and the Mary Kay Career Conference is a few of many that are held here. There is 50,000 square feet of meeting room space with wireless internet, and high definition display systems in the Convention and Conference facilities. The Grand Ballroom has over 32,000 square feet available that can host groups up to 1700 with pristine views of Lake Erie. In the Global Center Ballroom, there is 11,000 square feet of space with a 8,000 square ft Atrium. Dining parties up to 300 can be hosted here. In a nutshell, The Convention Center truly host an event no matter how big or small. The Huntington Convention Center of Cleveland is one of the most eco-friendly convention centers in America. Its design has a variety of features that reduces its overall footprint such as its lighting, that uses a large amount of natural light and modern programming to converse energy use, low-flow water systems in its restrooms, water refill stations and green rooftop that helps reduce sewer overflow and heat loss. The Convention Center and the Global Center for Health Innovation has a sustainability farm that produces food in-house for catering purposes. In addition, The Convention Center recycles extensively, uses green cleaning supplies, paint and building materials. From top to bottom, The Convention Center is major achievement in environmental sound construction. Located on site, The Global Center for Health Innovation is the nation’s largest meeting space for Healthcare and Medical Brand professionals. Its expressed purpose is to connect industry leaders through conventions, meetings and special events held here. With over 400,000 square feet available, the Global Center is equipped for a plethora of gatherings. 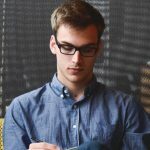 Since its beginnings, the Global Center has made good on its promise and continues to make headlines with its successes and diverse programming that showcases the wide spectrum of industries within the colossus that is the Healthcare Industry. The Huntington Convention Center of Cleveland has been and will continue to be a primary focal point in the story of Cleveland’s comeback. As one of the most eye-popping and uniquely constructed buildings in the region, it has brought a feeling of renewal to the residents of the city and has been a delight for tourists.